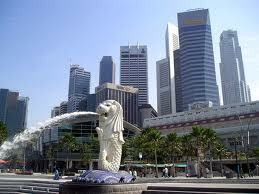 It is always a dream for me to buy a property in Singapore. Weekly magazine 'The Edge Malaysia' just showed that the rental in Singapore private property is starting at SGD2,5000.00. It is not ridiculous as the rental in 3-room HDB is also starting from SGD2,000.00 as well. As I am always keen on learning investment, I start to learn from various channels, such as the On-line Property Websites (e.g. The Edge Property, iProperty, PropertyGuru etc) as well as from magazines (e.g. The Edge) and newspapers (e.g. Business Times, Today, MyPaper etc). the retirement or after the age of 62) to invest in residential property. There is a very useful calculator in CPF website - http://www.cpf.gov.sg/cpfhsg/cal_input.asp to help you to calculate whether you are able to fully utilize your CPF OA & SA to support your monthly mortgage loan repayment. As many developers advertise in newspapers, Singaporean citizen/PR can purchase the private property by putting 5% deposit in cash and 15% in cash/CPF. The rest 80% can be paid using CPF. An advantage of purchasing private property is I am not necessarily to sell off my property in Iskandar Malaysia if I would buy a re-sell HDB in Singapore. Besides that, some private property is in freehold status. It is good to purchase a property in 'Freehold' status as compared to 'leasehold'. However, if you are a 'cash flow' player, 'leasehold' maybe a better choice for you as the rental yield could be higher compared to the earlier. I would closely monitor the property market in Singapore. Hopefully I will get a bargain in next 1 year. What's your view? Try to give me your comments here. Ya, it is not an easy job. I will also look for my friend who is working as a property agent to find out more. Thanks so much for a great post about how to buy the private property in real estate market and which property is beneficial for you .